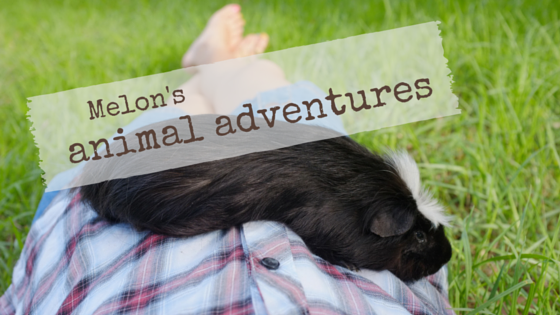 Melon's Animal Adventures: What do I eat? I think it's time for another edu-ma-ca-tional post on guinea pigs! Guinea pigs are both 'veggie-eaters' and 'very good eaters'. That's a fancy way of saying that we understand that food is the most important thing in life. Not pictured: celery, pellets, newspaper, spinach, orange, ice-cream containers, dried leaves, grapes, apple. Have you eaten anything good today? Hey Speedy, wow, that sounds great! I had some dandelion this morning along with my grass, yum. Hope you had something nice today. too. See you 'round! Enjoy your foodables. Have a fabulous Friday. Cocoa, we all love a lot of the same goodness. Well, except for Phantom, who doesn't eat any of these, we three love lettuce, carrots, celery, green beans, blueberries, strawberries, and ICE CREAM!!! BOL. It's so great to see that you guys appreciate veggies too! Mm, never had blueberries, gotta go ask Melon for some of those! Ice-cream though, I only like the container. Wheekheehee! The wispy bits make it look like you have a beard! The pack agrees with you about the carrots and the fresh grass, they really like those too. Spoiled beasts that they are, they especially enjoy roasted carrots, a rare treat. I am indeed old and wise, so perhaps it is fitting for me to have a beard. Wheekheehee! Hmm roasted carrots... not sure, I love my foodables fresh! Can you go outside to nibble daisies? Pia and the guinea pigs. Hmm, no daisies in my yard, but lots of grass and the occasional dandelion :) Wait a second, you mean you eat daisies too, Pia? Yes you got me right.... now you are surprised eh? But only one, two or three daisies at a time or some over the salade. They taste well and they are a medical plant. Your Mom must go and search some for you to taste them. Lurchi is doing much better :-) Thanks for your good thoughts. I hope we do not end in this up and down every month..... we will have some blood tests done when he is stable enough and the medicine is finished. Wow! How do they manage to fit all that into a day? I barely have enough time for eating and sleeping and pooping and eating and sleeping and pooping! Oh, and I am way too cool to be a hipster. I am ancient, remember?